Head men’s soccer coach Andreas Lindberg left LIU Post after the 2017 season for a new position at Seton Hall University, a Division I school. Michael Mordocco, the coach of the University of Massachusetts, Amherst’s men’s soccer team will replace Lindberg, who was head coach for the Pioneers for seven years. Mordocco will begin coaching Feb. 19. 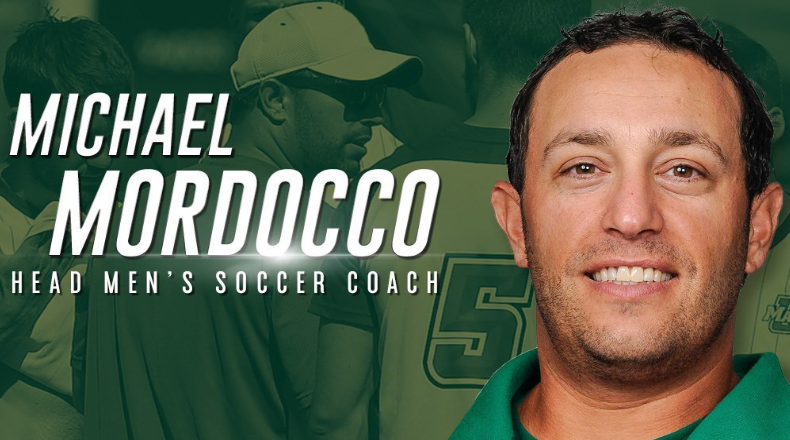 Mordocco has coached many men’s soccer teams, including SUNY Oneonta for four years from 2003-2007 and Stony Brook University for four years, where his team won the America East Champions in 2009. After Stony Brook, he coached at the University of Connecticut for three years, where he earned his bachelors degree in Economics. At UConn, his team made it to the NCAA Elite 8 three straight years. Mordocco will leave the University of Massachusetts, Amherst on Feb. 16 after three years as associate head coach. Mordocco’s 2017 season at the University of Massachusetts, Amherst, a Division 1 team in the Atlantic 10 conference, was nothing to be swept under the rug. The team had a record of 15-4-3, which put them in first place overall. Mordocco is looking forward to his new position. “ I’m really excited to be part of the program and looking forward to working with the guys, meeting people on campus, the faculty and to getting there,” he said. Mordocco plans to recruit eight more players for next season and to maintain the success that the soccer team has had.